"Western State Normal School" redirects here. For the institution in Maine formerly known as "Western State Normal School", see University of Maine at Farmington. Western Michigan University (WMU) is a public research university located in Kalamazoo, Michigan, United States. 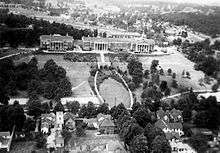 The university was established in 1903 by Dwight B. Waldo, and as of the Fall 2014 semester, its enrollment was 23,914. WMU has one of the largest aviation programs in the United States, and it is the site of the annual International Congress on Medieval Studies. The university's athletic teams compete in Division I of the National Collegiate Athletic Association (NCAA) and are collectively known as the Western Michigan Broncos. They compete in the Mid-American Conference for most sports. On May 27, 1903, Michigan Governor Aaron T. Bliss signed a bill authorizing the creation of the State's fourth teacher-training facility. The three other normal schools were in Ypsilanti (Eastern), Mount Pleasant (Central), and Marquette (Northern). Kalamazoo was chosen as the new school's location on August 28, 1903. Other locations considered included Allegan, Muskegon, Grand Rapids, Decatur, Three Oaks, and Hastings. The first building, then known as the Administration Building, and now known as East Hall, was constructed in 1904. The University was first officially known as Western State Normal School, and originally offered a two-year training program. The first principal and president was Dwight B. Waldo, who served from 1904 until 1936. 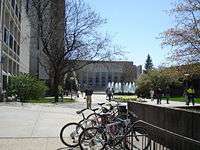 The school was renamed several times throughout its early history, beginning with Western State Teachers College in 1927, Michigan College of Education in 1941, and Western Michigan College in 1955. On February 26, 1957, Governor G. Mennen Williams signed into law a bill making Western Michigan College the state's fourth public university, giving the school its current name of Western Michigan University. Most of the oldest and original WMU buildings and "classrooms" are collectively known as East Campus, located directly East from the more centrally located "West Campus". Access to the East Campus site was an issue because of the steep grade elevating it above the city. The Western State Normal Railroad was established in 1907 to carry students and staff up and down the hill via a funicular. It operated until 1949. Stewart Clocktower, flanked by Waldo Library to the left, and the University Computing Center. West Campus is the primary and largest WMU campus in Kalamazoo, and is usually referred to as "Main Campus." Most of the university academic and administrative buildings are located on West Campus, including the College of Arts and Sciences, Haworth College of Business, College of Education and Human Development, College of Fine Arts, the Lee Honors College and Waldo Library. Many of the residence halls are found scattered throughout West Campus, while other dormitories (affectionately referred to as "The Valleys") are located adjacent to West Campus in Goldsworth Valley. The Bernhard Center is a centrally located multi-purpose Student Union which provides student and community groups with meeting space. Located within the Bernhard Center is the Bronco Mall, a one-stop-shop for students which includes a large 24-hour computer lab, a food court and dining area, a full service bank, and one of two school bookstores. Waldo Library and the attached University Computing Center are located on West Campus, as is the Dalton Musical Center. Recently constructed buildings on West Campus include the Western Heights dormitory and the Chemistry Building, which replaces aging McCracken Hall. West Campus is also the site of Miller Auditorium. A large entertainment venue seating nearly 3500 people, it is Michigan's fourth largest auditorium. Miller Auditorium hosts many events ranging from popular musicals and concerts to graduation commencements and film screenings. The Gilmore Theater Complex is located directly next to Miller Auditorium, and features three performance stages and faculty offices. The Richmond Center for Visual Arts was added to the Fine Arts Complex in 2007, followed by South Kohrman Hall being renovated into the Kohrman Hall Studios in 2008. Both buildings house the Gwen Frostic School of Art. East Campus is the original development dating from when the university was founded in 1903. It contains many of the university's historical buildings including, East Hall, West Hall, North Hall, Walwood Hall, Spindler Hall, Vandercook Hall, and The Little Theater. Many of these buildings are located on a hill overlooking the city of Kalamazoo. Walwood Hall, renovated in 1992, is home to the Graduate College, the Graduate Student Advisory Committee, the Medieval Institute, the WMU Office of Research and several other academic and administrative offices. In December 2012, WMU announced plans to renovate its birthplace, historic East Hall, for use as an alumni center. It also announced plans to demolish several of the university's original historic buildings and utilize the hilltop as green space. As of December 2013, both West Hall and the Speech and Hearing building that were located on East Campus had been demolished. The original East Hall will remain, but North Hall and the two side wings of East Hall will come down. East Hall reopened in 2015 as the WMU Alumni Center. The Oakland Drive Campus is the university's newest land acquisition. It is home to the university's College of Health and Human Services and the WMU Army ROTC program. It is now also home to the Western Michigan University Archives and Regional History Collections new location, the Charles C. and Lynn L. Zhang Legacy Collections Center. 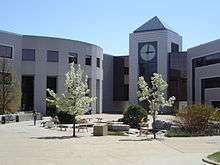 The Parkview Campus is home to the University's College of Engineering and Applied Sciences and is within the Business Technology and Research Park. "Erected" in 2003, the $72.5 million building Floyd Hall is 343,000 square feet (31,900 m2) and features two three-story 600-foot (180 m) wings connected by a middle glass enclosure. The campus is located about 3 miles (4.8 km) southwest of the main campus. 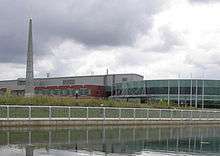 The 265-acre (1.07 km2) campus contains the paper coating plant. The school offers 17 undergraduate engineering, technology and applied sciences programs, while the graduate level, the College of Engineering and Applied Sciences offers 9 master programs, and 6 doctoral programs. The College of Aviation, with over 950 undergraduate students, offers one of the largest and most prestigious (top 3) Flight Science programs in the United States. The College of Aviation has 3 undergraduate aviation majors. College facilities The College of Aviation runs a Cirrus SR-20 fleet and turbine engine testing sites. Additionally the College of Aviation has a fleet of Piper PA-44 Seminole, one Cirrus SR-22, one Piper PA-18 Super Cub, and one American Champion Decathlon used for flight training purposes. Facility is located in Battle Creek, Michigan at W. K. Kellogg Airport. New runway Because the demand for training was so high, the city of Battle Creek and the Air National Guard, in conjunction with the College of Aviation, decided to construct a new runway. The new runway is just to the "west" of the original runway 23 and runs parallel to it. This caused Battle Creek's main runway to be renamed runway 23R and the new runway 23L. The total cost of the project was around $7 million, 95% of the money coming from the government. The runway is now currently open and fully "operational". Western Michigan began planning a medical school in 2008, named Western Michigan University Homer Stryker M.D. School of Medicine, which admitted its first class in August 2014. Privately funded and created in partnership with Borgess Medical Center and Bronson Methodist Hospital, the school was seeded by a $100 million cash donation from Dr. Homer Stryker's granddaughter, Ronda Stryker, and her husband William Johnston, a WMU trustee – the largest cash gift ever given to a college or university in Michigan. It is also the 15th largest cash gift ever given to any public university in the nation. Western Michigan University has had a partnership with Thomas M. Cooley Law School for over a decade, that on August 13, 2014, culminated in the adoption of a new name and partnership, the Western Michigan University Cooley Law School. WMU is classified by the Carnegie Foundation in the Research Universities (high research activity) (RU/H) category. The university has 140 undergraduate degree programs, 67 master's degree programs, 29 doctoral programs, and one specialist degree program. The University has seven degree-granting colleges: the College of Arts and Sciences, the College of Aviation, the Haworth College of Business, the College of Education, the College of Engineering and Applied Sciences, the College of Fine Arts and the College of Health and Human Services. In addition, the university has a Graduate College and the Lee Honors College. The Haworth College of Business is the university's business school. One of the largest business schools in the United States, it has some 4,000 undergraduate students and 500 Master of Business Administration (MBA) and Master of Accountancy (MSA) students. The college is located in Schneider Hall on the main campus. The College of Business was renamed in honor of alumnus G. W. Haworth after Haworth gave a large donation in the 1980s. In 2001, WMU and the Thomas M. Cooley Law School entered into a partnership where students could work on obtaining a Master in Public Administration from WMU while simultaneously working on a law degree from Cooley. In 2008, WMU and Cooley expanded this partnership so now WMU students enrolled in both MPA and Masters in Business Administration programs at WMU may simultaneously work on obtaining a law degree from Cooley Law School at Western Michigan University. Students enjoying WMU's Main Campus on a spring day. Western Michigan offers a wide range of activities and student organizations for its students to get involved on and off campus. There are currently over 300 registered student organizations that students may join. Students are welcomed to school each year with "Bronco Bash", an event with live entertainment performances and booths sponsored by student and community organizations. On-campus housing provides 23 residence halls and special interest housing for students in programs such as the honors college, aviation, business community, engineering and applied sciences, science scholars, education, fine arts, health and human services, second year students, transfer students, magellan housing, wellness housing. The Campus Activities Board is the main student organization responsible for bringing entertainment events for students. Some events the organization sponsors include concerts, comedians, special events, and "Miller Movies," presented at the school's main theater, Miller Auditorium. CAB sponsors both Bronco Bash and WMU's student Homecoming activities, in addition to many Registered Student Organization events and activities. There are also many concerts available to the public through WMU's College of Fine Arts. An up-to-date calendar can be viewed at the School of Music website. The Western Student Association along with the Graduate Student Association are the "primary" body of student government at Western Michigan University. WSA has four branches: the executive cabinet, the senate, the judicial council, and the allocations commission. The current president is Thye Fishman and the current vice president is Taylor Hall. Moreover, the Graduate Student Association is represented by an Executive Board and several committees such as the Graduate Financial Allocation Committee (GFAC), which is in charge of distributing GSA funds to other Registered Student Organizations. Currently, Damon Chambers and Marcial Amaury Pineda serve as the President and Vice-president respectively. WMU sponsors or recognizes several groups aimed towards personal and social development. This includes Faith and Spiritual Development, the Office of LBGT Student Services, Greek Life, services for International Students, Multicultural Affairs, Off-Campus Life, and Sponsored Student Organizations. WMU also has around 400 student organizations registered through the university that are available for any students to participate in. Placement of the Chemistry Building generated much controversy from student groups because it displaced a large portion of greenery in the center of West Campus. A temporary outdoor plaza was constructed outside of Sangren Hall in 2007 to replace the greenery. However, this also generated controversy and protests among students and faculty because of its aesthetic characteristics and costs. One such protest by a student group involved requesting the financial records of the construction and using chalk to depict the costs of each item on the plaza. The College Republicans at Western Michigan University were voted "Best College Republican Chapter in the Country" in 2006. Some of the fraternities established on campus include Alpha Kappa Psi, Alpha Eta Rho, Alpha Phi Alpha, Alpha Sigma Phi, Alpha Tau Omega, Delta Sigma Pi, Kappa Alpha Psi, Kappa Kappa Psi, Lambda Chi Alpha, Omega Delta Epsilon, Omega Psi Phi, Phi Beta Sigma, Phi Chi Theta, Phi Gamma Delta, Phi Mu Alpha Sinfonia, Phi Sigma Pi, Phi Sigma Kappa, Pi Kappa Alpha, Pi Kappa Phi, Sigma Chi, Omega Delta Phi, Sigma Lambda Beta,and Sigma Phi Epsilon. Some of the sororities established on WMU's campus are, Alpha Omicron Pi, Alpha Chi Omega, Alpha Kappa Alpha, Alpha Phi, Alpha Xi Delta, Chi Omega, Delta Sigma Theta, Delta Xi Nu, Delta Zeta, Lambda Theta Alpha, Pi Beta Phi, Sigma Alpha Iota, Sigma Gamma Rho, Sigma Kappa, Sigma Lambda Gamma and Zeta Phi Beta. Western Michigan University students and faculty are served by Sindecuse Health Center. Resources include full clinical, diagnostic, and nursing services, health promotion options, sports medicine and physical therapy, dental services, and a pharmacy. Sindecuse Health Center is located on Main Campus and is accredited by the Accreditation Association for Ambulatory Health Care. The Western Michigan Broncos are a National Collegiate Athletic Association (NCAA) Division I Football Bowl Subdivision school. They compete in the Mid-American Conference in men's basketball, baseball, football, soccer and tennis; and women's basketball, cross-country, golf, gymnastics, soccer, softball, track and field, and volleyball. The men's hockey team competes in the National Collegiate Hockey Conference. The Western Michigan Broncos main rival is the Central Michigan Chippewas who also compete in the Mid-American Conference. The Broncos have won two NCAA national championships. The cross country team won the NCAA title in 1964 and 1965. The current "Alma Mater" and "WMU Fight Song" are the result of a 1959 contest to replace existing songs. Open to the University community, the two-stage contest solicited first lyrics and then music. Alumnus James H. Bull won in the lyrics category for the "Alma Mater". Alumnus Walter Gilbert took the honors for the fight song lyrics and the music for both the fight song and "Alma Mater". Western Michigan University has had a number of notable alumni. Among them are #1 New York Times Bestselling author Richelle Mead, Federal Judge Gershwin A. Drain, who played football for the Western Michigan Broncos, Tony Award-nominated actress Marin Mazzie, actor and host Terry Crews, well-known actor Tim Allen, well-known actor Bruce Campbell, Homer Stryker, who founded the Fortune 500 company Stryker Corporation, and singer/songwriter Luther Vandross. ↑ As of 27 January 2016 "U.S. and Canadian Institutions Listed by Fiscal Year (FY) 2015 Endowment Market Value and Change* in Endowment Market Value from FY2014 to FY2015" (PDF). National Association of College and University Business Officers and Commonfund Institute. Retrieved April 25, 2016. 1 2 "Data On Students Enrolled" (PDF). WMU Office of Institutional Research. Retrieved December 6, 2014. ↑ "Original 1903 Campus Plan for Western State Normal School". Retrieved December 13, 2014. ↑ "1903 Campus Plan | Campus Planning | Western Michigan University". Cf.wmich.edu. Retrieved November 25, 2011. ↑ "Western Trolley Commemoration | Photos Images Trivia | Western Michigan University". Cf.wmich.edu. Retrieved November 25, 2011. ↑ "Supply Chain Education". Retrieved December 1, 2013. ↑ Ursula Zerilli (December 10, 2012). "WMU's East Hall to undergo renovation for alumni center; 3 surrounding historic buildings to be demolished". MLive.com. Retrieved November 21, 2013. ↑ "The Alumni Center". MyWMU. Retrieved December 11, 2013. ↑ "Dedication set for Zhang Legacy Collections Center | WMU News | Western Michigan University". Wmich.edu. October 11, 2013. Retrieved December 11, 2013. ↑ "About the College of Engineering and Applied Sciences". About. Western Michigan University. Retrieved 30 November 2016. ↑ "About". College of Aviation Western Michigan University. Retrieved 30 November 2016. ↑ "AIRPORT DIAGRAM" (PDF). Retrieved 30 November 2016. ↑ "WMed". Western Michigan University. Retrieved April 10, 2013. ↑ Davis, Paula M. (March 22, 2011). "Historic moment: WMU receives $100 million cash gift for medical school". MLive. Retrieved April 10, 2013. ↑ "Record $100 million gift supports new medical school". Wmich.edu. March 17, 2011. Retrieved November 25, 2011. ↑ "Cooley Law is now Western Michigan University Cooley Law School". wmich.edu. ↑ "WMU-Battle Creek | Western Michigan University". Wmich.edu. Retrieved December 11, 2013. ↑ "WMU-Southwest | Western Michigan University". Wmich.edu. Retrieved December 11, 2013. ↑ "WMU-Grand Rapids | Western Michigan University". Wmich.edu. Retrieved December 11, 2013. ↑ "WMU-Lansing | Western Michigan University". Wmich.edu. Retrieved December 11, 2013. ↑ "WMU-MetroDetroit | Western Michigan University". Wmich.edu. Retrieved December 11, 2013. ↑ "WMU-Muskegon | Western Michigan University". Wmich.edu. Retrieved December 11, 2013. ↑ "WMU-Traverse City | Western Michigan University". Wmich.edu. Retrieved December 11, 2013. ↑ "Carnegie Classifications | Institution Profile". Classifications.carnegiefoundation.org. Retrieved June 3, 2012. ↑ "About WMU | Western Michigan University". Wmich.edu. Retrieved June 3, 2012. 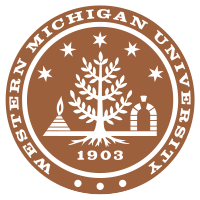 1 2 "Colleges | Directories | Western Michigan University". Wmich.edu. Retrieved June 3, 2012. ↑ "About | Haworth College of Business | Western Michigan University". Wmich.edu. Retrieved June 3, 2012. ↑ "History | Haworth College of Business | Western Michigan University". Wmich.edu. Retrieved June 3, 2012. ↑ Archived September 29, 2012, at the Wayback Machine. ↑ "2014 – 2015 Events". wmich.edu. ↑ "Western Student Association". Wsa.wmich.edu. Retrieved November 25, 2011. ↑ Western Student Association. "About". Retrieved August 24, 2016. ↑ Michigan Set your local edition » (November 1, 2011). "Michigan". Mlive.com. Retrieved November 20, 2012. ↑ "WMU News — WMU College Republicans are nation's best". Wmich.edu. Retrieved June 28, 2012. ↑ "Search for Accredited Organizations". Accreditation Association for Ambulatory Health Care. Retrieved November 24, 2013. ↑ "Men's Cross Country DI". NCAA.com. Retrieved November 21, 2013. ↑ "Traditions". www.wmubroncos.com. Retrieved October 2, 2014. Wikimedia Commons has media related to Western Michigan University.